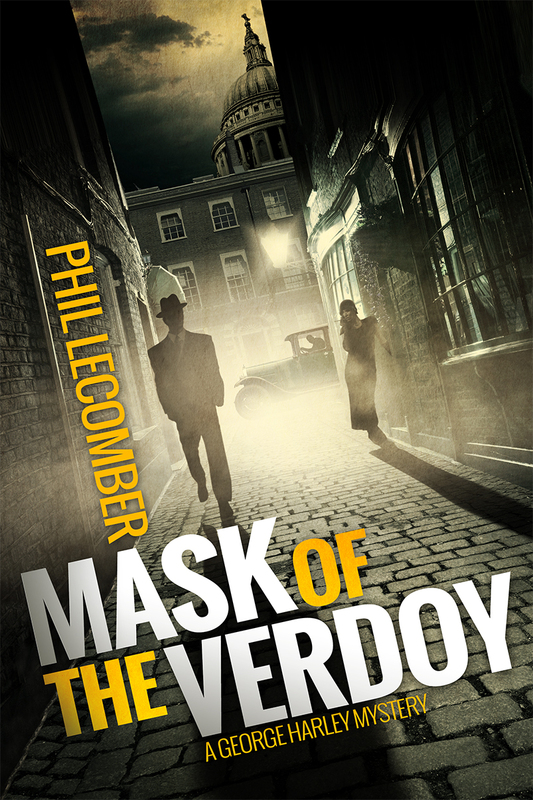 You may remember our promo (with Q&A and excerpt) of Phil Lecomber‘s period crime mystery thriller, The Mask of the Verdoy (A George Harley Mystery #1). This series has started off with some fantastic reviews, and I am looking forward to the read myself at a later date. With Book 2 due to be released later in the year, the author has decided to share a FREE short story, A SHILLLING LIFE, with you to whet your appetites! Blurb: A Shilling Life opens with Soho veterans Benny Levine and Sammy Shapiro reminiscing in their 1960s cabaret bar about the dark days of the 1930s, when the East End was living under the threat of Sir Pelham Saint Clair’s fascist BBF movement (as featured in MASK OF THE VERDOY). 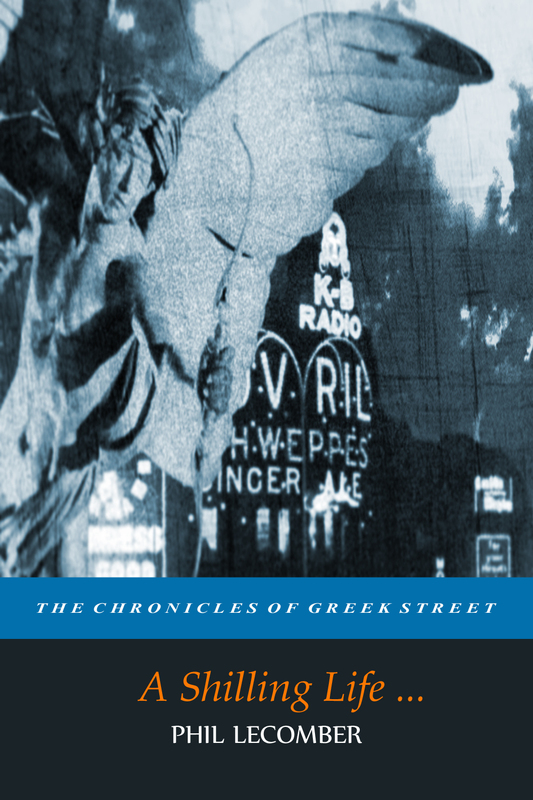 The conversation prompts Benny to begin to pen a firsthand account of the time (THE CHRONICLES OF GREEK STREET) and the first subsequent ‘story within a story’ is a stark record of the effects that extremist movements such as the Blackshirts can have on the lives of everyday folk. For the third time that morning Benny returned to contemplate the photograph on the front page of the newspaper. Through the air vent above his head there wafted in a heady mix of piquant aromas and the industrious clamour of a Soho readying itself for another weekend’s revelry—a task that, to the casual passerby, might seem daunting in the stark light of day, without the feverish neon to flatter its glamorous squalor. Outside in the bright autumnal morning brooms were pushed, steps hosed and canopies raised; liveried Austin vans squeezed down the narrow backstreets to deliver the raw materials for the coming night’s entertainment: livid cuts of meat and iced shoals of silver for the restaurants; crates of knocked-off spirits and wines of dubious provenance for the clip-joints; and stacks of Scandinavian delicacies (baled in brown paper wrapping) for the pornmongers. In steamy coffee bars, slumped over sticky Formica, the victims of card sharks stared into the milky froth of their cups, numbed for the moment from the size of their losses by cheap whisky hangovers. And from anonymous-looking doorways furtive working girls slipped out into the streets to play at normal life for a few hours. All this to a soundtrack played out by the jangle of the Wurlitzer and the sigh of the Gaggia … 1960s Soho in all its truculent glory. LONDON, 1932 … a city held tight in the grip of the Great Depression. George Harley’s London. The West End rotten with petty crime and prostitution; anarchists blowing up trams; fascists marching on the East End.And then, one smoggy night …The cruel stripe of a cutthroat razor … three boys dead in their beds … and a masked killer mysteriously vanishing across the smoky rooftops of Fitzrovia. This entry was posted in Crime, Drama, Historical, Mystery, Thriller and tagged A Shilling Life, crime, crime drama, crime thriller, drama, Free, freebie, George Harley Mystery, mystery, period crime drama, period crime thriller, Phil Lecomber, promo, short story, thriller.